​Our students make lasting friendships, have fun, learn discipline, and develop important skills needed to succeed in middle school. We look forward to meeting you and hope you mark band as your FIRST CHOICE elective! CLICK HERE to view the flyer that went home in the Thursday Folder on 3/21. Costs? Asthma? Find answers here. If your child is interested (even remotely) in band THE BEST time to sign up is in Sixth Grade. Our curriculum is geared towards three years of instruction and signing up in sixth grade will ensure that your child starts with their peers and are prepared for high school. If your child is an athlete (or wants to play sports) sixth grade is also the best time for band since athletics is not offered until 7th grade. We love having student athletes and on average we have 70-80% of our seventh and eighth graders doing band AND athletics- so again, band is the place for you! There is no shortage of reasons why your student should be in band! Band is a great way for your child to make friends or continue building on past friendships. Mr. Wood was on the team that developed our district curriculum which helps to develops organizational skills, goal setting, rewards, and performance opportunities that will help all students develop the traits needed to succeed both inside and outside the band hall. Band Students are represented in every organization on campus including athletics, art, choir, theatre, NJHS, Student Council, etc. Our staff is happy to work with your family to make band affordable! We have an amazing booster organization and more school owned instrument than any other campus in the district. We want your child to continue their music education and are happy to help. The Staley Band has established a proven track record of achievement with students both in the concert/contest setting and on a personal level. We love the chance to work with your student for all three years in middle school! For more info about the band staff CLICK HERE. The flute plays the highest notes in the woodwind family is known for it's beautiful sound. It is helpful to have a slight 'frown' i the upper lip without a 'tear drop' shape in the middle. Flutes make their sound by blowing a focused airstream into the 'tone hole' at the end of the flute. We are looking for students who are energetic, outgoing, and have great finger dexterity. 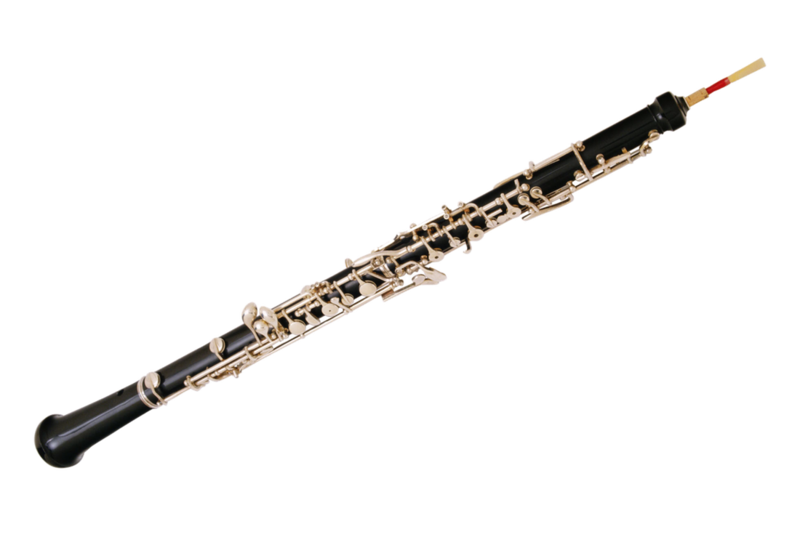 The Oboe looks similar to the clarinet but makes a sound using a double reed. Students who play oboe should be confident, smart, and independant as there may only be a couple students selected for this class. Since Oboe is one of our 'specialty' instruments we ask that families strongly consider private lessons. 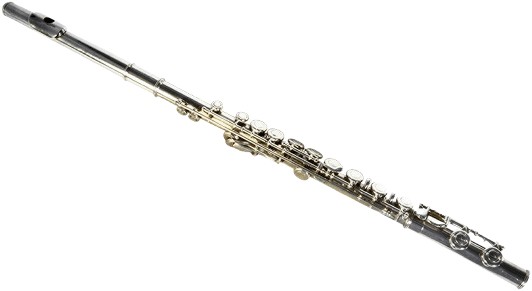 To help offset the cost of reeds and lessons students selected to play oboe will use a school owned instrument at the district set rate of $100 for the entire year. Bassoon is a double reed instrument that plays much lower than the oboe. Most students love bassoon for the unique sound, range, and challenge it provides them. We are looking for unique, independent, and smart students who are not afraid to use their thumbs (calling all gamers!). Bassoon is a school owned instrument, so families will only need to cover the cost of reeds and the $100 yearly FISD fee. Due to the complicated nature of the instrument families should seriously consider private lessons if they choose bassoon. Clarinet is one of the largest beginning band classes and is one of the leading 'voices' in the band. Since clarinet gets to play so much of the melody line we are looking for students who loved recorder and can move a lot of air and play loud. The alto saxophone looks like a brass instrument, but is a member of the woodwind family. Alto is one of the most popular instruments in band and only students who receive director recommendations will be allowed to enroll in the class. Alto is a single reed instrument (like clarinet) and is plays a prominent roll both in wind bands as well as jazz bands. Saxophone players are responsible for maintaining a working stock of 3-4 quality reeds. Alto Saxophone students will have the opportunity after their first year of instruction to audition for Tenor Sax or Baritone Sax (based on their proven musical and behavioral abilities while in alto saxophone class). Trumpet is the highest and also the smallest member of the brass family. We are looking for self-motivated students with a strong desire to stand out and be leaders of the band. These traits are very helpful as trumpets usually have the melody in most of the music we play. Trumpet is one of our larger classes so this is a great place to meet new friends or get into the same class with your current friends. Horn is one of the most versatile instruments in band. Similar to trombone, students who can match pitches and have musical ears make great horn players. Students who play horn usually do very well in school and are willing to analyze and work independently. 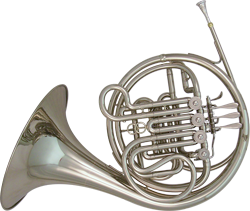 Families should seriously consider private lessons if your child chooses horn as this can be one of the more challenging instruments to start. Horn is a school owned instruments so you will only need to purchase a mouthpiece. 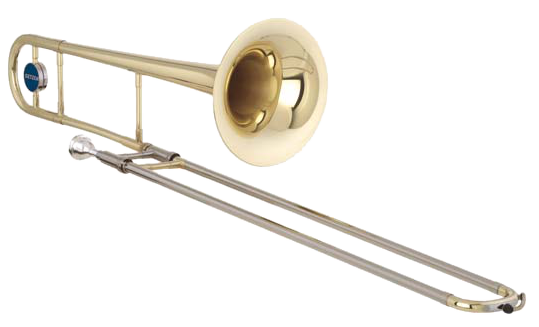 Trombone is considered a low brass instrument and is the only band instrument that uses a slide. There are not notches or markings on the slide as trombone players use their ears and muscle memory to know where to stop. Because of this we are looking for students who have excellent 'musical ears' and are willing to play out with confidence. Since trombone slides are so long it can be very helpful to have long arms (are you the tallest in your class?). However, if you are worried about the length of your arms we know tips and tricks to make trombone a possibility for any student- no matter how long your arms are! 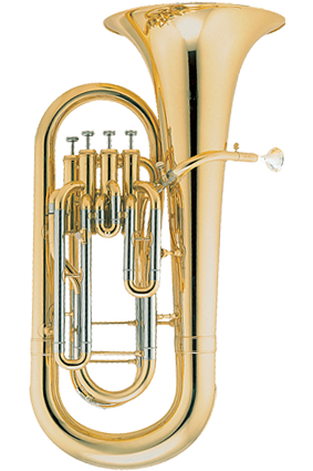 Euphonium looks like a small tuba, but is also closely related to the trombone (it even shares the same mouthpiece). If you love the sound of trombone but are worried about the length of your arms this might be the instrument for you. Euphonium is a school owned instrument and will cost only $100 for the year of use. We are only looking for a handful of Euphonium players and they will meet at the same time as the tuba class. Tubas are the foundation of our sound and one of the most important instruments in the entire band! If you are worried about the size or transportation don't be. Beginners play on a smaller version of the tuba and will have one tuba both at school and at home. Tuba is a school owned instrument so families are encouraged to consider private lessons it possible. Students who play tuba are responsible, hard working, and can move lots of air! Just because you are always tapping on things does not mean youare a natural percussionist (drummer). In fact, the percussion section is the most select, hand-picked section of the band. Students with the high academic standards, lowest discipline problems, backgrounds in piano lessons, and extremely high gross and fine motor skills will be considered for percussion. 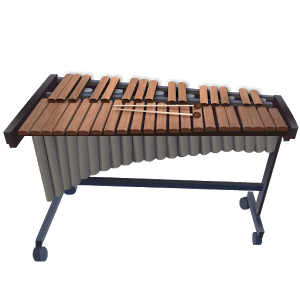 The study of percussion includes bells, xylophone, marimba, triangle, tambourine, maracas, claves, among many other instruments. Private Lessons for percussion are strongly encouraged due to the nature of the instrument group and the amount of material that will be covered in class.